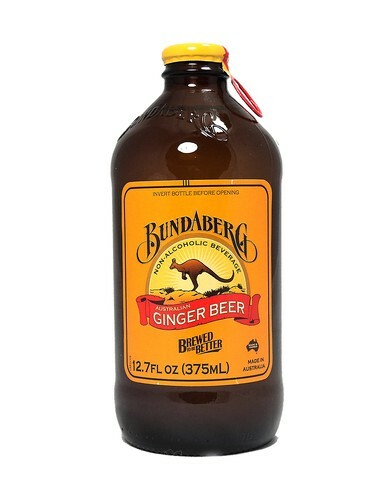 FRESH 12.7oz glass bottles of Bundaberg Ginger Beer (non-alcoholic) with SUGAR from Australia!!! Also available in diet. Totally became addicted to this stuff while traveling in Australia. Best ginger beer 've had--not overly strong, or too sweet--just a nice mellow bite with real ginger flavor.